I am a big fan of technological innovation. I’m also a big fan of my gun not jamming if I ever need to use one in self-defense. While there are techniques for dealing with firearm malfunctions, the fastest way to get yourself out of a bad situation is to not have a jam in the first place. How is this done? If I could invent a firearm that does not jam, I would do so. It would probably look like the car which doesn’t need an oil change. In short, all machines malfunction. Learning and PRACTICING the malfunction clearance techniques is critical to your safety and should be done so as well. What I think is important is to plan ahead and use technology to our best advantage. 357 SIG is one example of this pre-thinking and planning. The 357 SIG cartridge is a bottleneck pistol cartridge. Which is a rarity today though it was briefly popular at the turn of the century up until the 1930s. Traditional handgun cartridges are straight-walled in that their profile more resembles a pipe with a bullet sticking out of it than anything else. This is reliable enough but recall that with the host cartridge of the 357 SIG, the 40 S&W, you are trying to fit a 10mm circle inside of a 10.8mm circle when your gun is pushing the cartridge into the barrel. The 357 SIG allows for easier chambering by pushing a 9mm circle into a 10.8mm chamber. Common during shooting, people will limp-wrist their firearm. Proper training will largely overcome the tendency to not grip your semi-auto pistol firmly enough. But nothing is certain, so it pays to stack the odds in your favor. Reducing the effort (slide velocity) needed by your gun to chamber another round reduces your chances of being found dead with a jammed firearm and brass strewn about the scene. There is another benefit to bottlenecking which doesn’t get discussed much and that is the advantage that you get in internal ballistics by using such a cartridge. Firearm propellant notionally follows the Ideal Gas law. As the bullet moves down the barrel, the pressure inside of the cartridge/barrel system decreases. This also decreases the temperature of the system which reduces the quantity of propellant being burned. Long story short, firearms would be a lot more effective if higher pressures could be maintained. One of the solutions to this problem is the use of bottlenecked cartridges. If you own a 357 SIG, it’s hard to go wrong with ammunition selection for personal defense. The traditional choice in self-defense ammunition for the 357 SIG (as well as 357 Magnum) is a 125gr JHP. 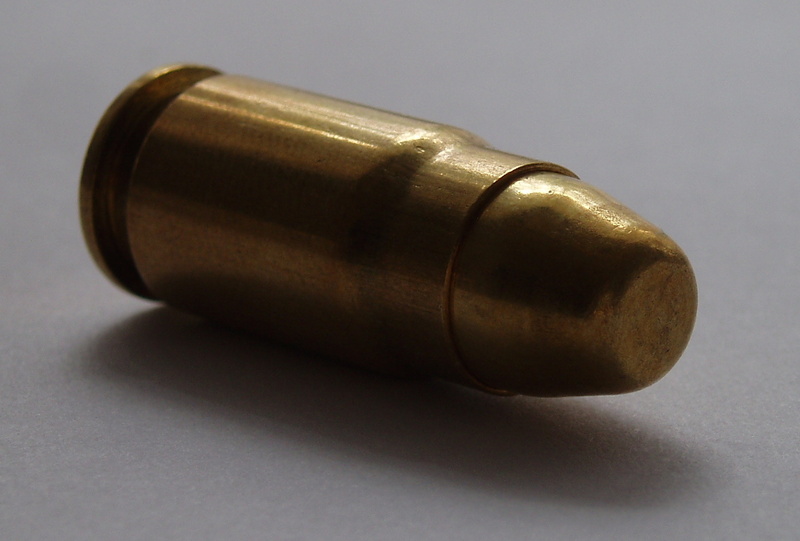 As long as the bullet retains the majority of its weight, the penetration depth should be sufficient. 147gr JHPs are also available and acceptable if you would prefer deeper penetration depths. Please be aware that 357 SIG is marketed by some as being ‘a 357 Magnum that fits in an autopistol.’ If you are not using hot-loaded ammunition, the 357 SIG is not the ballistic equivalent of the 357 Magnum. With higher performance ammunition the 357 SIG is equal to a mid-range 357 Magnum.